HH Maharaja Madhavrao Scindia Memorial Inter School Hindi Debate was held on 5th October 2016. The participating schools were Vidya Devi Jindal School, Sanskar Valley School , Maya College Girls School , Daly College , Syna International School and the host, The Scindia school. The debate was conducted in two rounds. The participants presented their views with utmost zeal on topics like विनाश ही विकास का आधार है। and खेलो मे राजनीति कारण से खिलाड़ियों की प्रतिभा का हनन हो रहा है। The debates were very informative and convincing. The teams which qualified for the finals were The Scindia School , Vidya Devi Jindal School , Daly College and Syna International school and debated on the topic सारे धर्मों के लिये एक कानून आवश्यक है। where The Scindia School won the prestigious contest and Syna International school was adjudged as the runner-up. 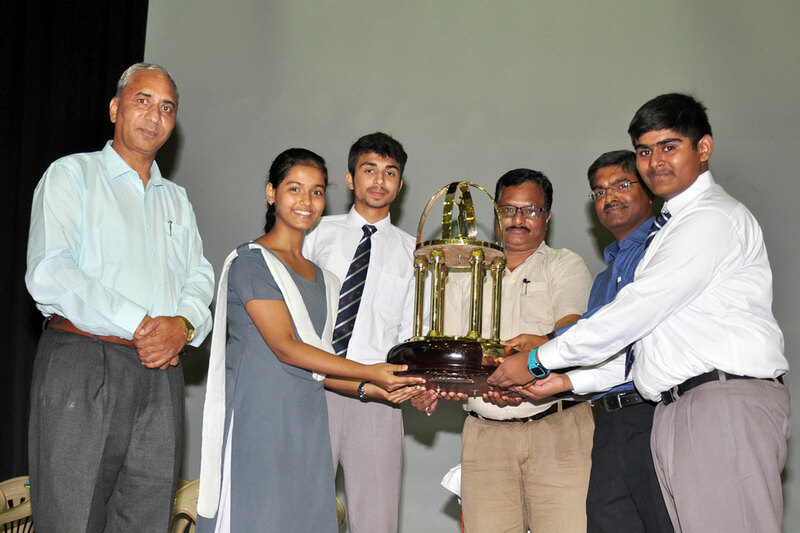 Since the host school does not compete for the trophy hence it was given to the Runners Up team Syna; International School, Katni.